Today is the first day of the new financial year, whilst you maybe excited about starting the new financial year with new goals and ideas for your business there is one small thing that you still need to complete before starting your new year. This spreadsheet can be then given to your accountant who will help you with writing down or writing off stock. A copy of this spreadsheet can be obtained by Marked Focus. Some of the tips have been provided Marked Focus who specialise in tax consultation, mortgage broking, business accounting, bookkeeping and more. Call (03) 5996 1990 to book a consultation with one of their specialised consultants. Were you unhappy with the result of your tax return? If so, we can provide a free review of your last income tax return (valued at $120) To take up this offer call 03 5996 1990. 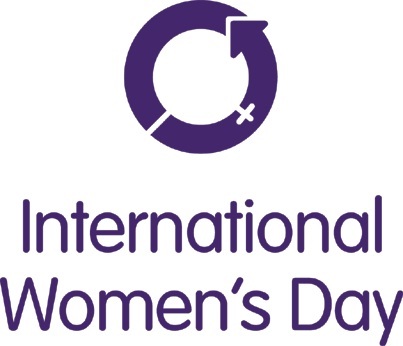 “International Women’s Day (IWD) celebrates the economic, political and social achievements of women past, present and future.” Today I personally have a lot to be thankful and celebrate. I would like to mention 3 important women to me who inspire me both in my personal and business world. I have chosen 3 women that are amazing and I would like to thank. 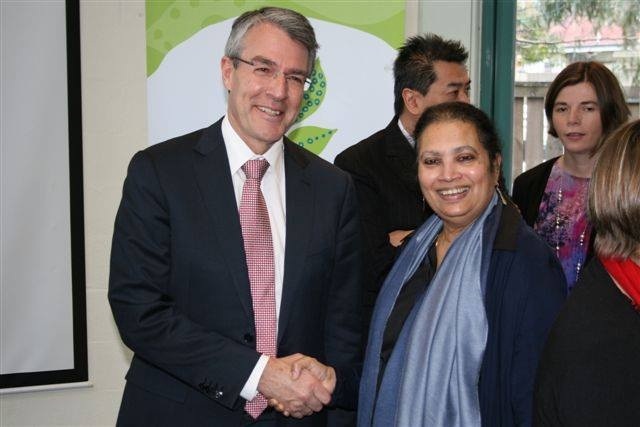 My mum Joyce with the Federal Attorney General. My mother is a huge advocate in the community sector for the South Eastern Suburbs in Melbourne, she has built respect amongst colleagues and is looked upon as an advisor for many different topics of cultural diversity. Personally, she has always worked and taken care of us and now her 7 grandchildren who are all under 8. On Sunday’s my parents house is full of love and happiness and a truly uniting family and this is due to the strength and love of my parents. It seems I have been called to follow in her foot steps of working with women within the community which is a gift passed on from her. Susan Dibbs (right) and I at a fashion launch, meeting some potential fashion exhibitors. I met Susan Dibbs through a facebook group and have become close friends, she is one of the women I would say is an inspiration to all of us. Founder of the GO Festival, Melbourne’s largest expo for Women to celebrate women, she has managed to successfully host 2 of the GO Festivals with the third one coming up next week, from a history of hosting bridal to various types of expo’s her passion and drive is demonstrated in her work. Susan is a huge advocate of supporting women and giving business women opportunities to take part in her festival to help them grow their businesses and brands. Go Festival is on Saturday 15th March 2014 to Sunday, 16th March 2014 at the Royal Exhibition Building Carlton. Tickets can be purchased here. 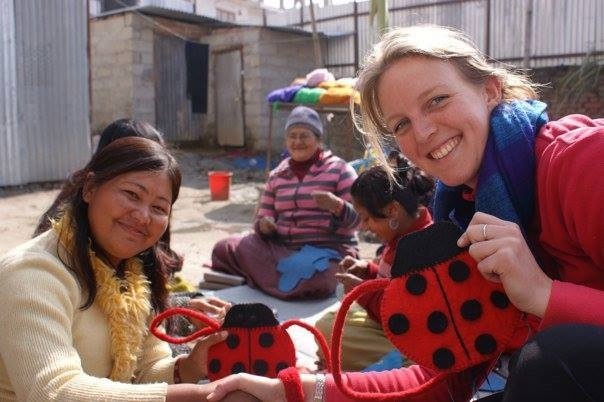 Stephanie Woollard during one of her visits to Seven Women in Nepal. Stephanie Woollard will truly blow you away with her charity work in empowering women of Nepal through her own charity Seven Women. Her dedication and commitment has led her to build this amazing charity that helps disabled women in Nepal make a living and empower themselves through education and skill training. All profits go back to the charity to keep it running and helping these women daily. If I had a choose an International Women of the Year I would choose Stephanie knowing the work she puts into this amazing charity. Linda Reed-Enever from Media Connections who always goes that extra step to Mentor and help small businesses. Alli Price from Motivating Mum who also takes that extra step to help mums in business. Jane Del Rosso from My Other Kitchen another woman who doesn’t hesitate to mentor and guide you in business. I am truly blessed to be surrounded by amazing women in my life and business. I have the pleasure of working with women that are passionate, driven, strong, empowering and believe in making a difference to this world. My own business, Markets and Community is about promoting markets, events, stallholders and online businesses and amongst these businesses are mainly women who organise and run these businesses. Their dedication helps do a full circle in the community of helping each other and the community. I am grateful to be able to do something I love doing and have the support of a wonderful husband and family to stand beside me and help me help the community. Happy International Women’s Day and as a woman give yourself a cheer for everything you do and more. Have you thought about what goes behind the scenes in organising a market? 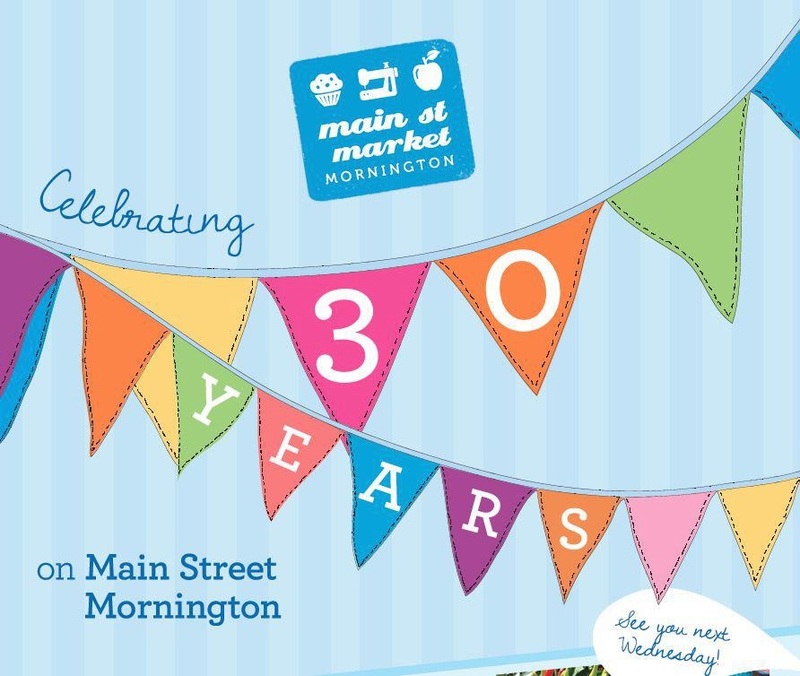 It takes time, lots of time, dedication, tears, passion, strength to organise a market and we asked a few of our fans from Markets and Community to write about their appreciation to their Market Organisers. 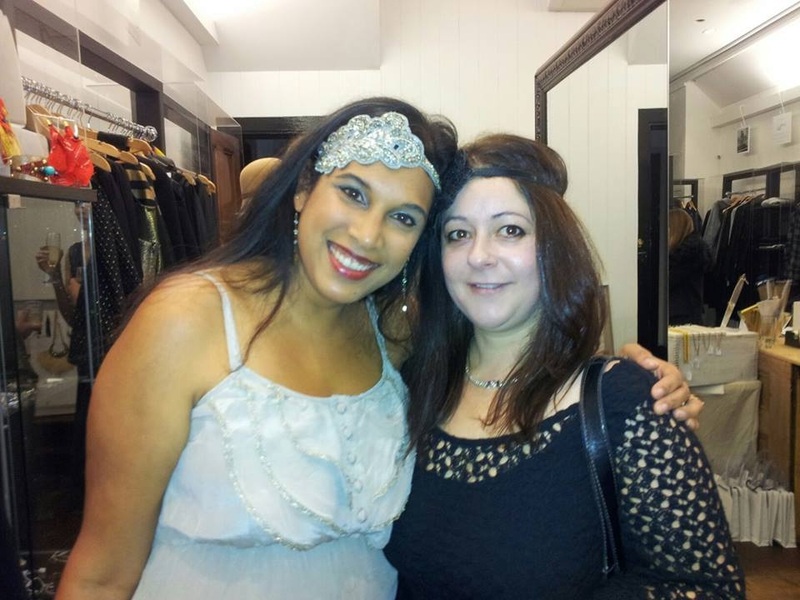 Just like to share my experience as a stallholder at The Dazzling Boutique Market. I am from Her Macarons and a regular stall holder at Dazzling. Sarah the organiser is very lovely and helpful, that she always goes all out in supporting us by heaps of advertising (that i know will cost her a lot of money) and constantly promoting our business page in facebook. The market is every second month but she is always sharing our sales/promotions ALL the time. One more thing, her market gave us a lot of exposure to customers not only to buy on the spot but to become our regulars. Oh and I was surprised that I received an invitation from Better Homes and Garden (TV show) to attend their expo and said they found me from the Dazzling Boutique Market. I would like to give a huge thumbs up to Susan and Kylie who run “Salt Water Market” at Swansea (and now great to see they are branching out to other venues as well), I was a stall holder for a community potters group for around 6 months, unfortunately had to give it up due to work and transport logistics. They were so supportive, lovely caring ladies and their Facebook marketing is better than any other market I have seen. Big thumbs up from me!! Dear Amy of Huckleberry Market. I have yet to meet another market organiser that is so motivated. She has made such a loving community within her market, stallholders are all treated as family. Day and night she lives and breathes HBM and she is the first to help when anything is needed. The ideas to make Huckleberry grow and been seen to more customers is amazing, always coming up with new marketing concepts. Her motivation is second to none. Amy, I hope you know how much respect and love all your stallholders have for you, I am so excited to grow with you and to be part of the upcoming Huckleberry Market Extravangza. Looking forward to an awesome future. Much love Bek @ Sweet Bubba. Melbourne Cheeky Monkey Market is the perfect event for advertising a small business. They communicate effectively and go above and beyond to help you with whatever it is you may need. Highly recommend this market group for people who know what they want… and even if you don’t know Bianca-Jade Patsalis and her team and more than willing to help! 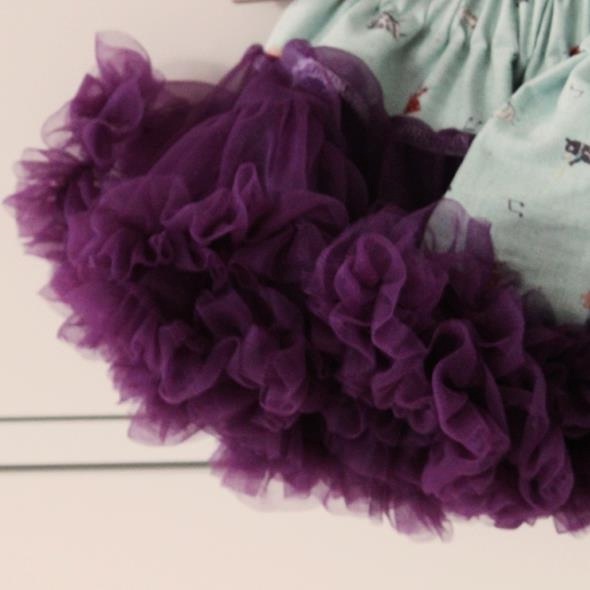 My name is Mish and our business Ur Baby Trendz has undertaken 2 markets thus far with Melbourne Cheeky Monkey Market. Being first time market stall holders (my 12 year old daughters bright idea) I thought the process would be time consuming, expensive and confusing. I made my first call to Bianca (who I have dealt with throughout our experience) to enquire about a stall and everything was explained to me step by step in simple terms making the whole process less daunting. Melbourne Cheeky Monkey Market do a lot self promotion which is great and we really saw this in the turn around of attendance. As we are a kids stall we loved that there was also bouncy castles, face painters etc to attract the families. On arrival our table was easy to find and set up was a breeze due to the great organisation. Any questions we had were answered throughout the day as Bianca made a presence at all stalls to see how we were all going. I really appreciated this as it showed that Melbourne Cheeky Monkey Market was not just about making money for themselves, but ensuring their market holders had a great day of selling. After the first Williamstown market there was no question about booking another stall, and it was even better. A smaller venue meant less people and less money to be made right? Wrong. We made even more on sales and saw even more people thanks again to Melbourne Cheeky Monkey Market’s promotion. During this market there was a spare stall next to us that someone hadn’t shown up to and instead of leaving it bare, Bianca invited us to spread our stock out across these tables. It was perfect as our samples are huge. There was no extra charge and the market did not have any spare tables making it look amazing and full. I highly recommend Melbourne Cheeky Monkey Market and Bianca’s great organisation. 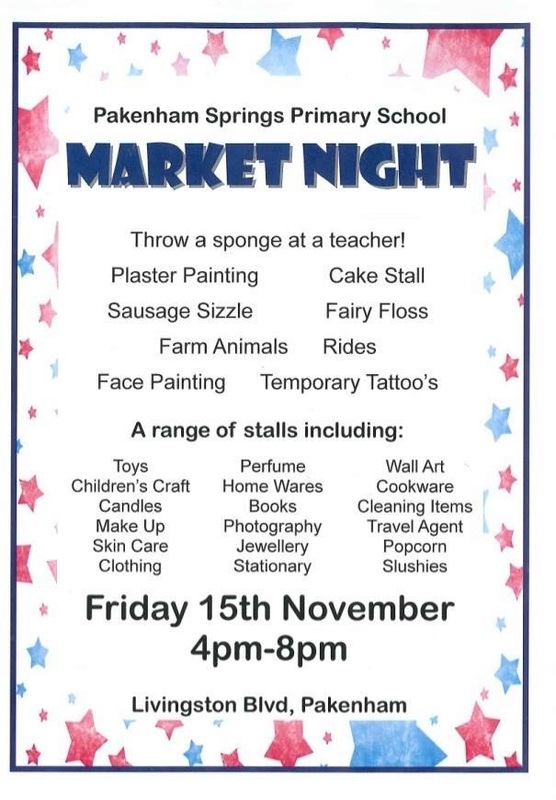 We will be holding stalls at all their markets time permitting. Naomi from Macarthur Indoor Community Market is a fantastic organiser, lovely person and really cares about her stallholders. I love seeing an organiser walking around, talking to everyone & introducing herself. Plus on the HOT days, she hands out bottles of cold water. Little things make a big difference! Naomi from Macarthur Community Indoor Markets – she is organized, always keen to market and advertise in new ways and appreciates stallholders input to making every market day a success! Plus everything Nicole said! So many of them!!! Virtually all the market organizers that we have contacted are all professional and caring. From The Dazzling Boutique Markets, Macarthur Community Indoor Markets, Western Sydney Up Markets, Castle Hill Mixed Market and Laurelbank Market, to other event organisers. They all try to do their best and we think they all deserve a special thank you!! The trouble with having a creative mind is that you change it all the time. 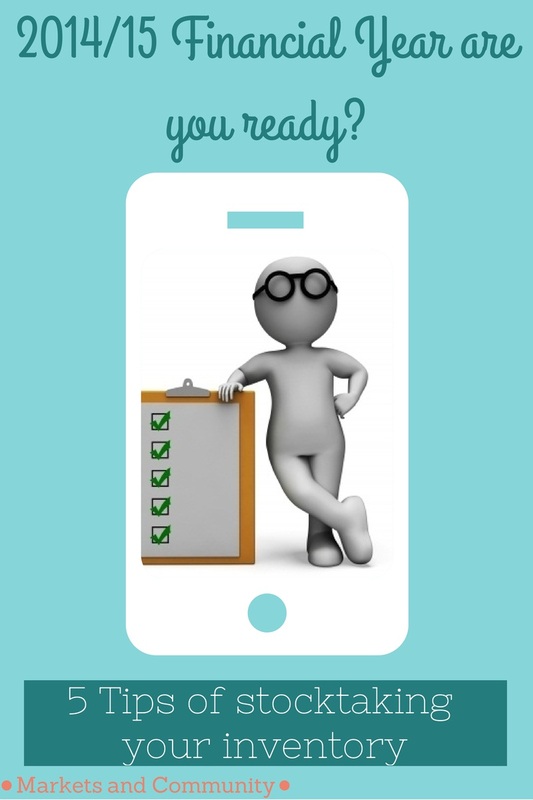 Once you think you’ve settled on something, another brilliant idea pops in…..and of course you just HAVE to do it! Finally I have decided on a ‘range’ and I’m going to stick to it. 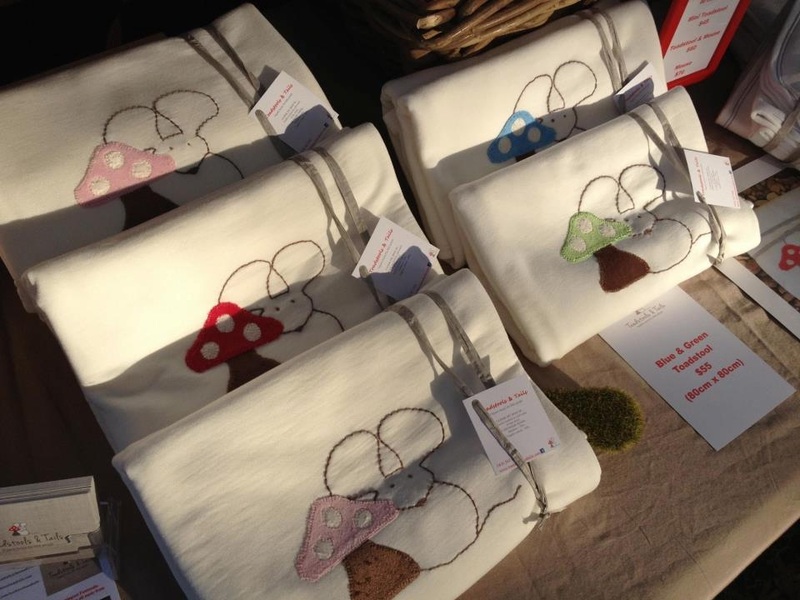 We will now be concentrating on our well known ‘Toadstool & Mouse’ blankets (we also provide monogramming on the blankets), swaddling wraps and an assortment of gift packs. All packaged beautifully and our gift packs are especially ideal for baby shower and newborn gifts. If requested, we will also hand write a personal gift card. I have to say though, the beauty of taking your wares to market is that you can create every idea that pops into your head as it’s a great way to road test, get feedback and most importantly, see if it sells. Markets are a fantastic, inexpensive way to get your business some major exposure especially when you’re first starting out. This was why I first started markets. The adrenalin (and nerves mind you), on the day of your first market are exhilarating. You look around at your display and possibly for the first time, you realise just how proud you are of yourself and your products. It gets better…wait until the market goers come in and start paying you compliments, then it feels amazing and makes all your hard work worth every minute. Doing your first market is a bit like your first day at a new job…how much stock is enough? How much money do I need in my float? Can I leave my stall? What is correct market etiquette? Obviously do as much research as you can and ask as many questions as you like but at the end of the day, it’s such a wonderful community to be a part of. Everyone helps one another, supports one another’s business and this community is where you will receive the most valuable advice because everyone has been in your shoes. Before not too long, you’re an old hat at it. Your marquee is up in minutes, you know exactly how best to display your products, you know which markets work best for you, your organised and most importantly of all….you have worked out who sells the best coffee! You will make lifetime friends, have a laugh and admire the amazing work of others BUT, it is hard yakka, so be organised, always have plenty of stock (it makes your stall look so much more attractive) and practice setting up your marquee and how you would like to display your products. Oh and plenty of sleep! This can save a lot of time and disappointment at 6am in the morning, best of all you will be confident and feeling on top of the world. Markets and Community had the pleasure of selling Toadstools and Tails products at the GO Festival held in October at the Melbourne Showgrounds, the products were bought as gifts as they were presented beautifully ready to be gifted. Markets and Community would like to invite you to support your local community by visiting one of the twilight markets listed below. Tonight, Friday 15th November 2013 brings about a huge range of twilight markets across the suburbs of Melbourne. Here is a list of markets near you. Address: 65 Riverend Road, Bangholme. Burning Soy – Handmade Candle will be there. 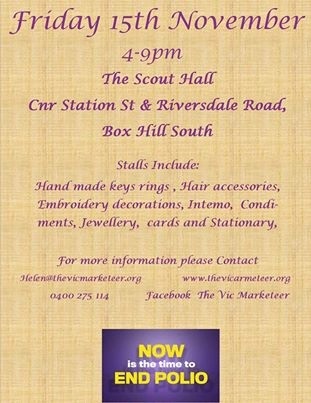 Made for you by shelley will be there. Warratahstree and Made Locally will be there. It’s your turn to choose a fun night out with your girlfriends. Movies last month, dinner the month before that. When was the last time you got a bit more creative on a night out? 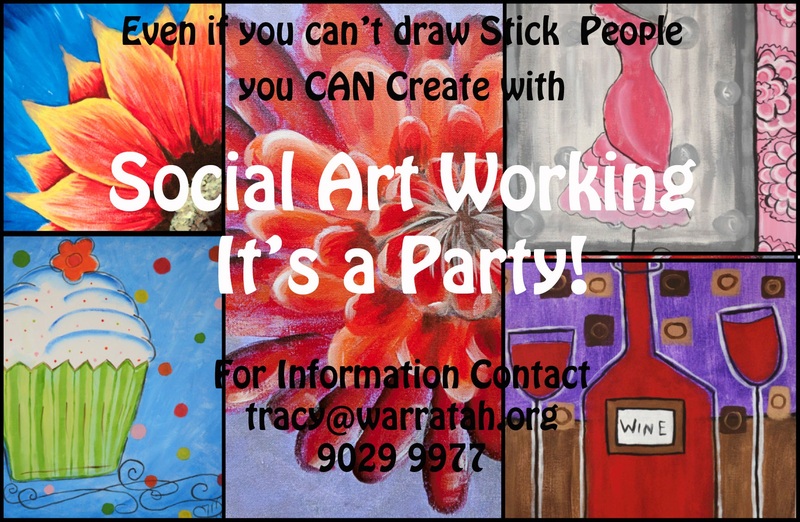 What: Social Artworking is a canvas painting program. Each person in your group has the opportunity over 2-3 hours to paint a 40cm x 50cm piece of art (all painting supplies provided), so why not bring some bubbles and nibbles along and really relax while you craft your work of art? 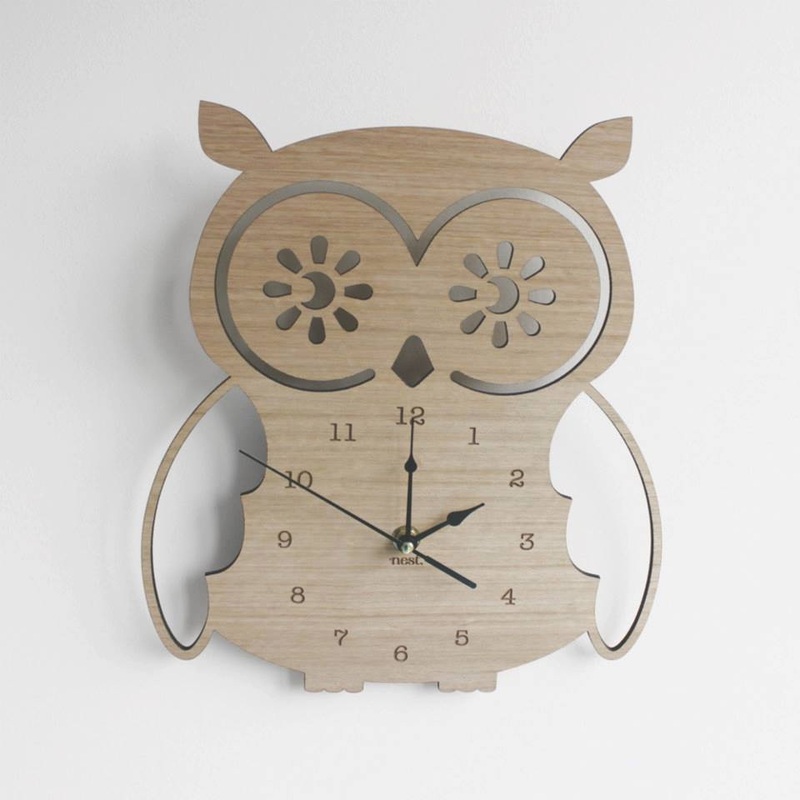 Who: Get a group of your girlfriends, Mums Group or your Work Colleagues together. Celebrate a birthday or donate your “masterpieces” to a charity of your choice. The possibilities are endless, no experience necessary. When a market organiser decides to run a market on a day like Good Friday, they take a risk of resistance of the stallholders and the community, but the CWA Doreen Community Market has always had its fully fledged support from their stallholders and that is why the Good Friday Appeal Market turned out be so successful in its 2nd year running. CWA Doreen is a community run organisation, a subsidiary of the larger Country Women’s Association of Victoria Inc. (Association) which is part of the largest women’s organisation in Australia. It aims to improve conditions by community service more especially as they affect the welfare of women and children. When we listed the Market under our fairs section of the website, we decided to take the opportunity to make it our market tour for the week. Plus I wanted to meet one of our listed stallholders, Made By Elise, whom I have communicated with for almost a year but never met. So I took the long drive from Rowville to Laurimar (only just over an hour), got lost on the way because I don’t like having a GPS but ended up using my phone GPS and arrived in the gorgeous estate of Laurimar. It does look like the adverts they show on TV. The roads were full of parked cars so I parked across a large lake and walked through the foot bridge with little ducks coming towards me thinking I have food for them. I could see the activity from across the sports oval, so many people, so many stalls and jumping castles. Wish I bought my little ones with me. First stop was Cheeky Little Fox with her gorgeous little hair accessories. They seem to be at quite a few markets that we list on our site, so I can see us bumping into each other again. It is really nice to know that our social media shout outs work as a few of the stallholders at the market responded to a call our for stallholders at this market. Next stop is a beautiful lady Janice from Senorita Bonita Children’s Clothing & Accessories with the cutest and most unique handcrafted plush horses. Last year I bought all the little girls in my family Splatt Dolls but this year I will be buying the Plush Horses for them, they are just simply gorgeous. Janice usually sells at school market nights and fetes but will also be at the Melbourne Showcase Market at the end of April. I finally got to meet Elise from Made By Elise, she was as lovely as ever, and I had a look at her newest creation which was a handmade flower girls’ bouquet. What a perfect place to go for custom made bridal accessories. There were some others that I knew from other markets such as The Calico Co with their handmade dolls, Artistic Blooms and Belle Lumiere with her handmade soy & palm wax candles. Finally I met Homegrown Harvest with their small kitchen gardens. They have a great business with design and maintenance of home, commercial and community kitchens. But the best thing is Kirsten from Homegrown Harvest runs a Mernda and Doreen Produce Swap where the community trades surpluses of their food with other local gardeners. What a fantastic community initiative. I managed to enjoy a yummy cup of coffee with my little mascot the keep cup and also purchased some yummy biscuits for my little ones from the CWA Doreen stall. The food vendors didn’t expect such a large crowd as many started to run out early. We put a post up saying what a fantastic market it was the feedback from that post on facebook were from stallholders at the market who had really good days. The Country Womens Assoc, Doreen holds their market on the 4th Sunday of the Month at the Laurimar Community Centre. They are trying to negotiate a permanent spot for the market as there seems to be some resistance from the local traders for a community market. 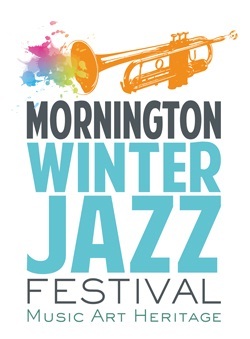 Sunday, 17th March 2013 at Kingston Town Hall in Moorabbin. I have always been a bit of a softie for Vintage Markets but this market was definitely one of the impressive one’s I have been to. I parked across the Kingston Town Hall on Nepean Highway and could see flocks of women walking in and of course excitement starts to creep in seeing people walking out with 3 or 4 bags as like most women I love shopping. To greet you at the door is the lovely Emma who is the organiser of the Round She Goes Markets and up the stairs you go to a huge hall full of stalls. I was on the look out for a dress for a wedding and I have never worn a vintage formal dress before but there is always a first time for everything. I ended up finding a gorgeous silk designer dress with hand sewn beading across the whole dress from Dorothy’s Closet. There is actually history behind the dress, it was worn by Dorothy’s Closet’s mum who used to be a wedding singer. How ironic is that? I have decided that I will get a special piece of jewellery made from Langi Designs who creates the most unique pieces of items to go with the dress. Back to the market, I also met some of the other stalls with their funky, fashionable, vintage and stunning pieces of clothing, jewellery, shoes, coats, handbags & accessories. Some of these fantastic stalls are Limonia with some vintage handbags, Kaamer Boutique with their stylish fashion accessories, Aacute with their awesome vintage style clothing, Crimson Gardenia with their swing-era-styled clothing & accessories for that classic look. But to finish off my day I bought a real vintage jacket from Lady Soul Vinyl DJ which obviously was meant for me as it fit perfectly, so I had to get it!!!! Round she goes markets are a well established and run market, they have branched out to Adelaide and also will be launching in Sydney on the 18th May 2013.